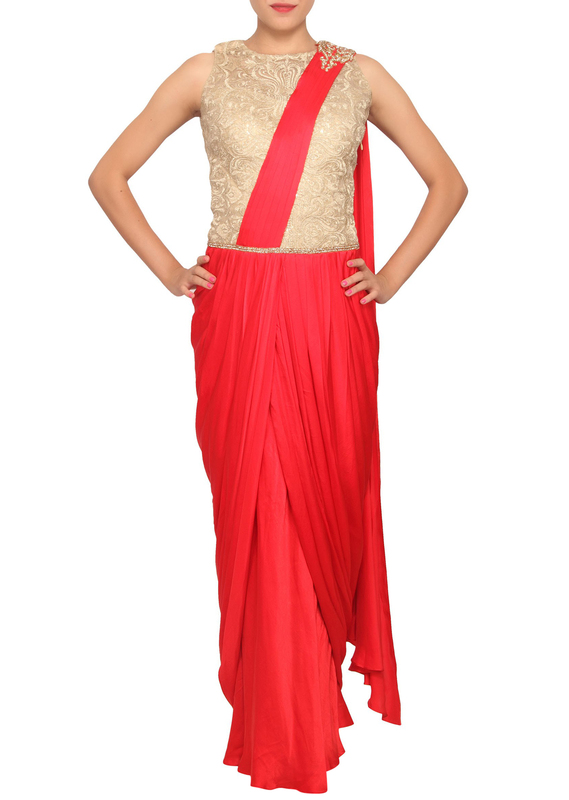 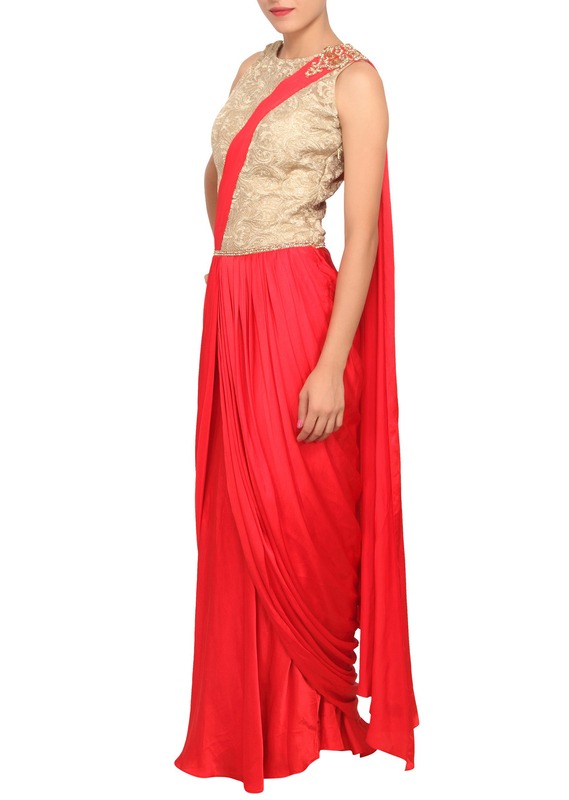 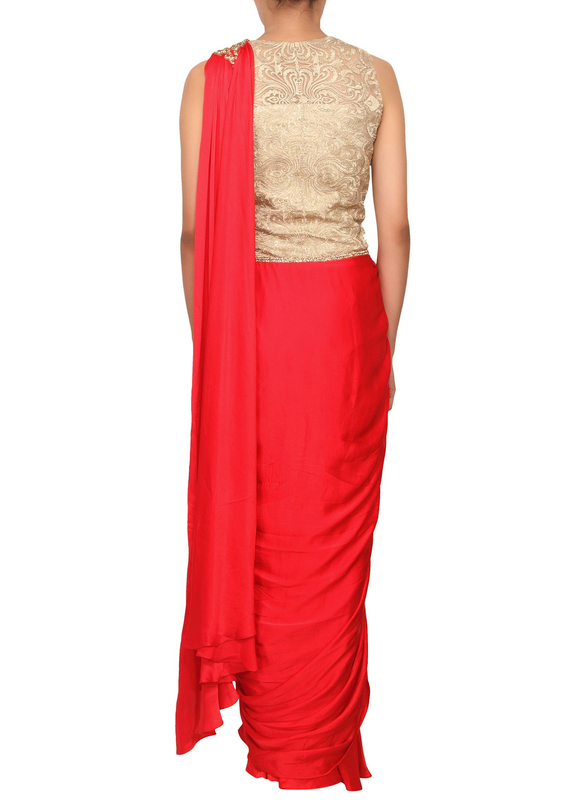 Scarlet red saree gown featured in satin with side cowl drape and pleats. 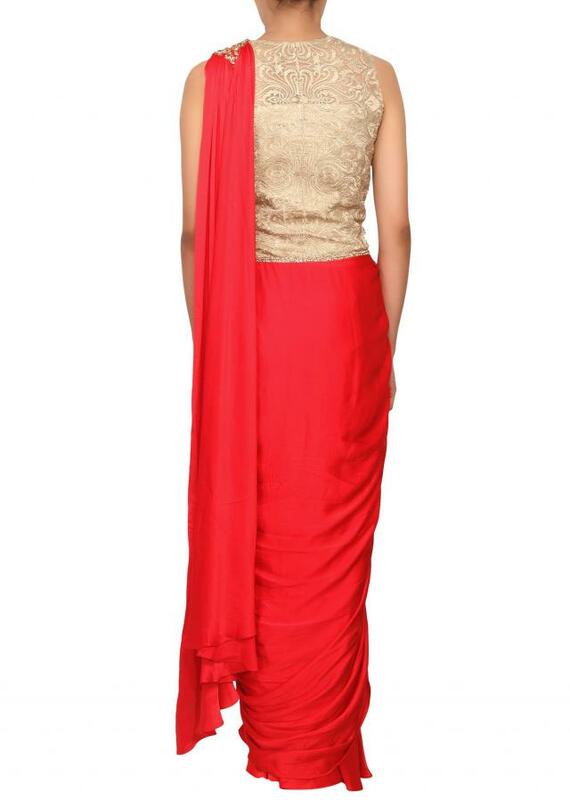 It is sleveeless and has a round neckline. 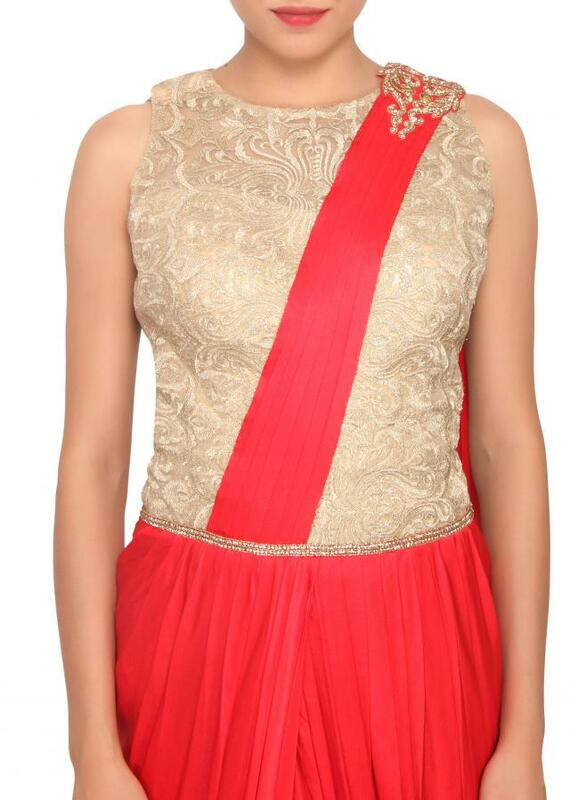 It has a gold sequin patch work on one of the shoulder. It has stiched pleats from shoulders to the waist.